Should you make a claim for compensation? Is it going to be really stressful? These are all good questions, and it's understandable that you're concerned about these issues. No one makes a claim for compensation without thinking about it carefully. And no one should make a decision about making a claim without first speaking to a compensation lawyer. At Thompsons, we aim to make the claims process as straightforward and as efficient as possible, helping to get you the maximum amount of compensation possible while striving to keep our legal fees down to a minimum. As the country’s leading personal injury lawyers, with a success rate of over 90% and recovering £1m a week in compensation for our clients, Thompsons is better placed than most to ensure your compensation claim is successful. The road to compensation can involve a complicated journey. And, as with many journeys, we know that taking the first step is often the hardest part. But you have already taken it – you are looking for answers. You’ll find some of the answers to your most pressing questions here by clicking on the links below. Or give us a call on 0800 0891 331 and one of our specialist personal injury lawyers will be happy to chat things through, free of charge. Should you accept an offer from your insurance company? What happens when you make a claim? What if you are claiming on behalf of someone else? How much compensation will you get? Should you make a claim? Our impressive track record isn't the only reason why you should choose us. Yes, we win more than nine out of ten cases we take to court, but most importantly, we feel, we never forget the all-important human element that is needed in the process and, as our clients often tell us, it is very much appreciated. Friendly, understanding, and dedicated – these are just some of the words used by clients to describe our team. Our passion lies in helping individuals who have suffered as a result of negligence, and we have gained a deep understanding of the problems that you and your loved ones are likely to be facing right now. Our solicitors will use their well-honed expertise to guide you along every step of the process, ensuring that you reach the best possible outcome for you. 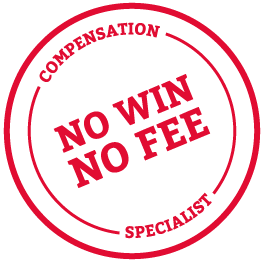 Plus, for the majority of claims, we offer a No Win No Fee Solicitors package, so you can be confident that you won't have to pay any unnecessary legal fees in case your claim is unsuccessful. For all the advice and guidance you need regarding your claim, call us on 0800 0891331 today.